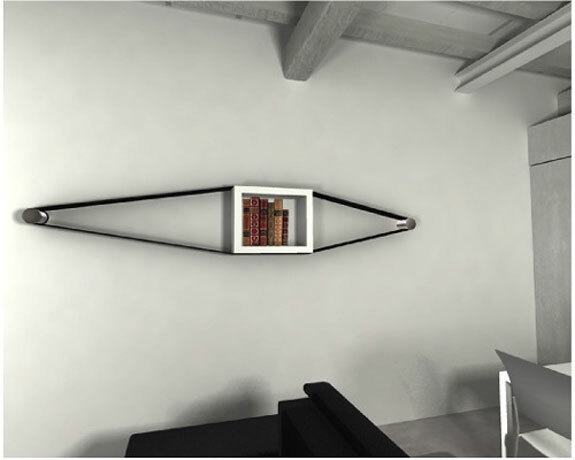 A larger rubber band could be used to used to make a bookshelf. 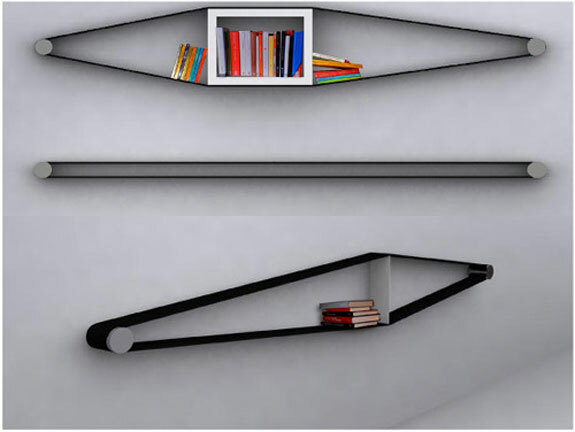 That’s in essence what the Elastico Bookcase is: a piece of strong, black “elastomeric” material stretched between two metal pegs. 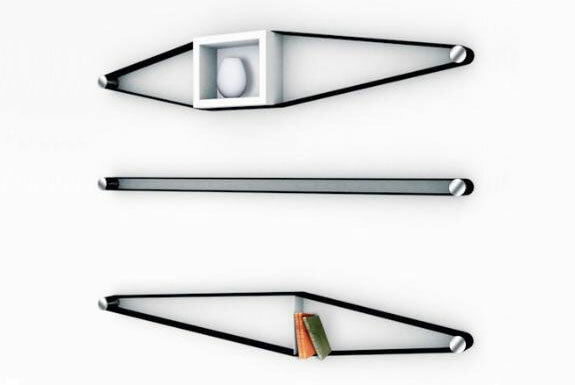 With the creative use of dividers and box frames the elastic can be shaped to mold an artistic shape that fits the shelf’s contents. Simple, but very cool. « How Much Would You Bid On A Cave House?